I ordered a set of 4 (as they only came that way) but when I replaced the radio a week ago, only two were needed. If I do need 4 however, I'll have them. 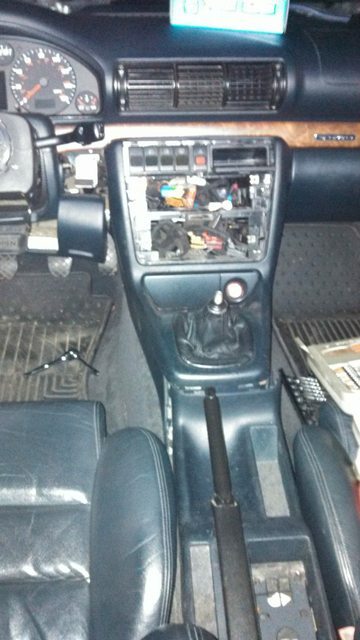 questions: nothing major so far, a little trouble finding how to get the center dash apart but Ill worry about that more after I get the steering column down. 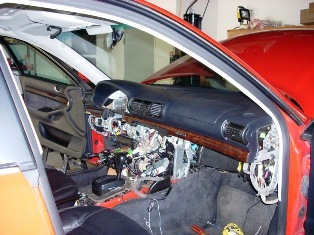 To remove the console you have to remove the rear section first. Beneath the rear ash tray you'll find a nut you need to remove, near the front of each seat are two more 8mm bolts. Remove the ebrake handle covers and the rear section slips over the ebrake. The console is held in with a number of 8mm bolts/nuts. 4 or so should be visible from the front, there is one more hidden down in the driver footwell. 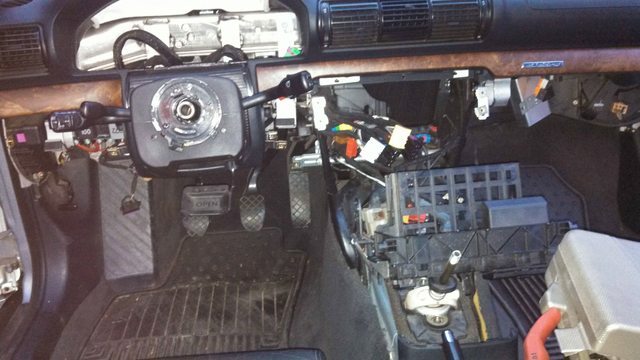 Remove the shift boot, put the car in 4th gear, and slip the console over the shifter. Yea it seems odd, but that job starts with you sitting in the back seat. Best advice I can give you, get an adapter for your cordless screw driver that turns it into a 1/4' drive ratchet. You will spend all day today spinning off 8mm bolts. It gets tedious using a ratchet. thoughts: ran into some issues but managed to get most of them out of the way. 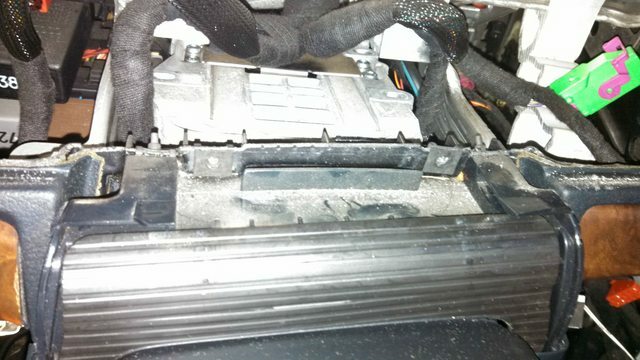 Glove box was more of a PITA than I expected. 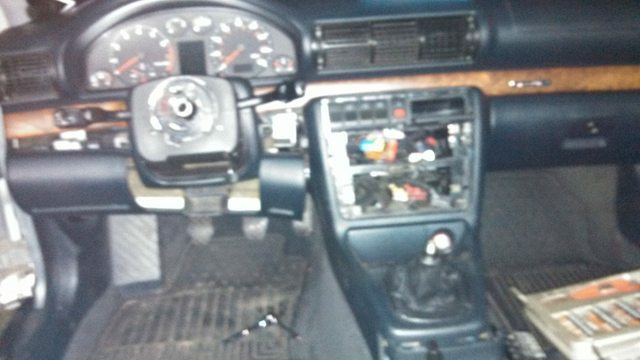 Also, the amount of bolts and frame pieces holding the passenger airbag in was ridiculous, I may not find homes for them when it all goes back together. Yeep. I remember the two little torx bolts you're talking about. They gotta come out. If it makes you feel any better, its even harder get them started to put them back in than it is to remove them. If I recall, it helps to have a torx screwdriver-type tool to get up in there to get those two up ar the top of that trim piece. Yeah I was worried about that. Well it's easier to get started when I know those are indeed the bolts. I'll go to work tomorrow where I have a small tool kit with torx-screwdrivers that may fit in the area. You may have to use a small torx bit with a 1/4" wrench on it. oh sonofa, I forgot to drain the freon before I got started. Any ANYway to do this without draining it? Mind you I'm just pulling the core, not pulling out the entire HVAC box. I really dont want to have to get it towed to a shop, drained, then towed home. Any ANYway to do this without draining it? Mind you I'm just pulling the core, not pulling out the entire HVAC box. 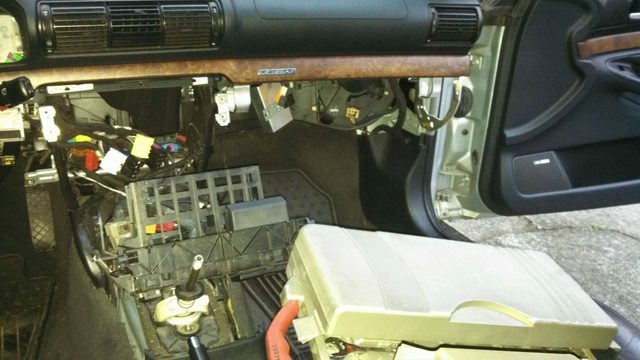 You do not have to pull the HVAC box all the way out of the car to swap the heater core. But you do have to pull it away from the firewall, and that means opening up the refridge lines.